Four years ago, we believed the saying "Montessori is for every child" would be truly tested by/on Drew. And Drew's accomplishments year after year, individually, socially, and academically, have proven the strength of the saying. While we value the educational style, we know that Drew would not be where he is today without his loving, devoted, consistent, and observant teacher. Through Jennifer's teaching and leading by example, Jennifer has helped Julia discover her strengths, intelligence, talents, and confidence. Julia has said many times that when she grows up she would like to be like Jennifer and Ashley. Jennifer, thank you for being there for Tegan when she really needed stability and consistency. In your classroom, she has experienced joy everyday. Julianna's body language says it all. She patiently (or not so patiently) waits for Jennifer to greet her and usher her to the Pinewoods playground. On some school days, Julianna's body contorts with such anticipation that I ask, "Do you need to potty?" "No," she says. "I can see 'Jenn-fa' coming." Rock stars and politicians, try as they might, will never achieve the superstar status of a really fine teacher. Thank you for encouraging Rocco to try new things, and for celebrating his progress with us this year. We truly appreciate the effort you made to help Rocco and Theo thrive independently, but also together, throughout the year. Abigail has learned new math skills, is reading like crazy, and is more articulate than I ever dreamed she would be at five, and I know I owe so much of her success to Jennifer's guidance and nurturing. Even more than that, Abby faces difficult situations by "using her words", and Jennifer taught her these skills. Jennifer is a true blessing to us! Thanks to Jennifer for giving Ali the confidence to try new things in conjunction with the guidance to achieve her potential. Although Kylee has never lacked compassion, confidence or love of learning, we are seeing a whole new side to her that can only be attributed to her wonderful teachers and experiences at Pinewoods. Peter has truly learned to shine under Jennifer. She instilled in this headstrong young man a love of numbers and reading and, more importantly, a lifelong appreciation of learning. We can think of no greater gift. Durant has always enjoyed listening to music and singing, but in this past year he has really amazed us with his aptitude. He can carry a tune perfectly while singing songs he has learned at school or old favorites, plus he makes up many thoughtful (and often funny) songs about his daily life. I know the wonderful music we are hearing at home is a product of Jennifer's gift with music and her gracious way of sharing that gift with the children. Victoria sings all day long...Maybe she doesn't know the words but she loves the melody of all the new songs she has learned! Luka really excelled in his academics and loves to impress you, who gently introduced him to the infinite world of knowledge. 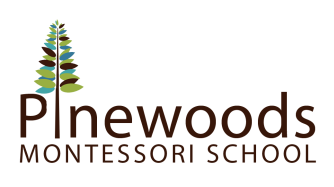 Benjamin's independence and comfort with his personal abilities have grown immensely as a result of the Montessori approach and caring staff at Pinewoods. Justin's ability to work independently and focus on activities has been greatly influenced by his time with Jennifer at Pinewoods. He has grown from an energetic toddler to a curious child ready to learn about the world. Thank you, Jennifer, for your patience, your kindness, your heart, and your desire for Davis to be his best. And probably most of all, your sense of humor. Davis has grown in so many ways this school year, his self-control, his academic inquisitiveness, his focus, and his friendships. Your guidance has made the difference for him. When our daughter joined the Pinewoods Montessori community, our everyday life transformed. Not only were we now able to concentrate on the work we do from home, but she became a social creature. She was essentially non-verbal when she joined the transition class. Within months, she was holding conversations. She learned essential skills we didn’t know toddlers could master – concentration, articulation, expression and responsibility. Truly, she grew exponentially as a person, and that growth is palpable today.